Sedation Dentistry | J.D. "Bo" Westmoreland, D.D.S. 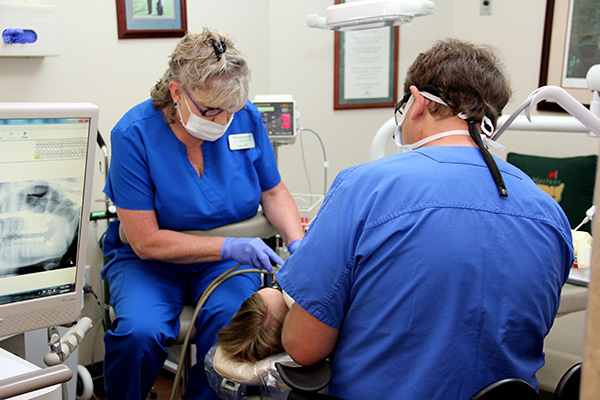 We offer sedation dentistry to patients who have anxiety and fear about dental work. Sedation Dentistry relaxes the patient to the patient to the point that he or she won’t feel any pain during the procedure and in most cases will likely have no memory of their visit even though they are slightly awake. Sedation dentistry is a safe and powerful method to get the dental care you need and want, painlessly. Once patients meet the health criteria, they are given certain oral tablets that create extreme sleepiness and amnesia. Dr. Westmoreland is trained in Advanced Cardiac Life Support and the medicines he utilizes are very safe. For more information, visit www.sedationcare.com.